Below about text shortcode used in revelations, inside the mediabox that do not contain a recording. Below about Recording shortcode used in revelations, inside the media box that have a recording. With greater financial support, The Society will be able to make more of these wisdom teachings available free online. In addition, The Free Book Project of The Society offers a free personal copy of currently available books and mp3s of the revelations of the New Message to those without the means to purchase them. We invite you make a donation to support the Free Book Project so that more and more people in need can have access to the New Message from God. At over 9,000 pages of text (with nearly 1,000 audio revelations at their source) the New Message from God is the largest and most comprehensive Revelation ever given to humanity, given now to a literate world of global communication and growing global awareness. The Angelic Assembly has directed the Messenger to unify the New Message into a single testament for humanity. This testament will be divided into volumes: each volume divided into books, and each book divided into chapters. Therefore the future structure of the New Message could be expressed in this way: Volume > Book > Chapter. 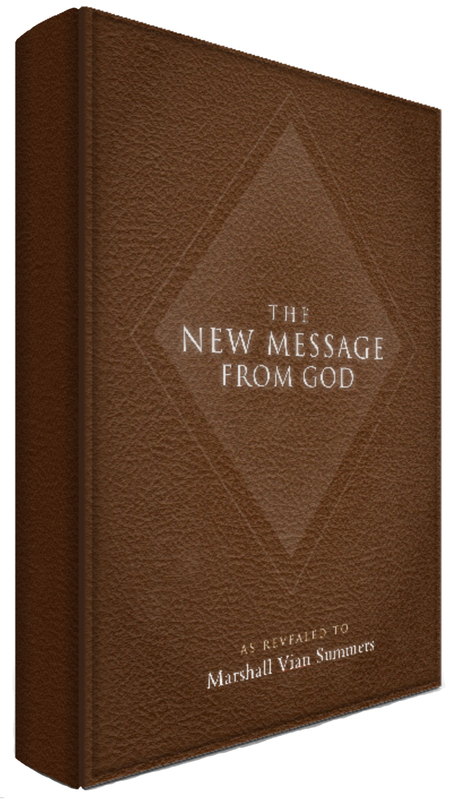 In totality, these volumes, books and chapters will ultimately be unified into a single testament: The New Message from God.